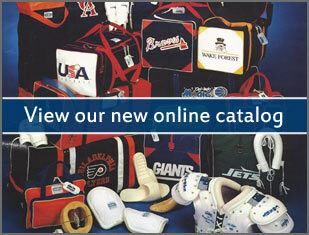 Gerry Cosby – a tradition of excellence, superior quality, and exceptional customer service. Gerry Cosby had a life long passion for sports. He displayed tremendous athletic ability in all sports, but ice hockey became his main focus. He evolved into an outstanding ice hockey goalie. Gerry Cosby’s first notable experience on the ice occurred in 1928 when the manager of the Boston Tigers asked him to fill in for an injured goaltender. His first few days in the net were rocky, but he persevered to become one of the best American born goaltenders in history. 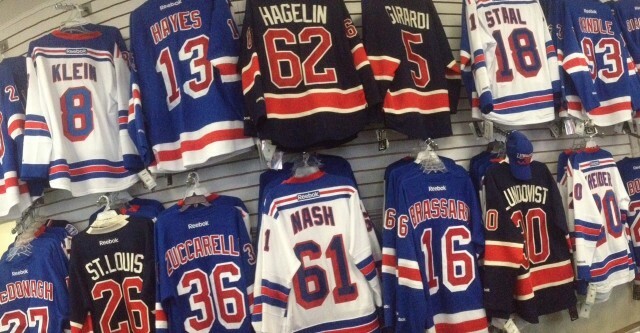 "Gerry Cosby & Co Inc Sporting is the official supplier of the NY Rangers team jerseys. I ordered a jersey from them a couple of years ago as a birthday gift for my husband– the jersey came the very next day with professional lettering. A great experience in person or over the phone."